My book is Incredible Animals by a Sally Morgan. 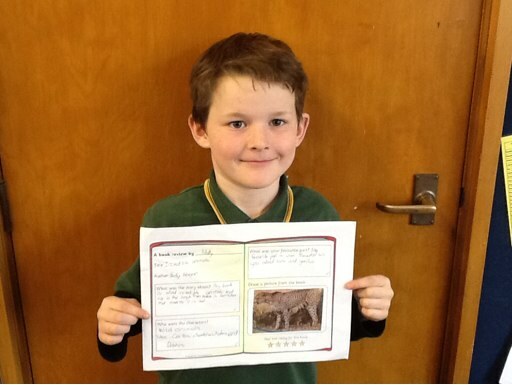 This book is about incredible animals that live in the jungle . This book is non-fiction that means it is real. The characters are wild animals like gorillas, cheetahs, whales, and dolphins .My favourite part is is when the author tells you about lions and gorillas . My rating is 5/5. You will learn lots about animals by reading a book like this, Matty. Well done!